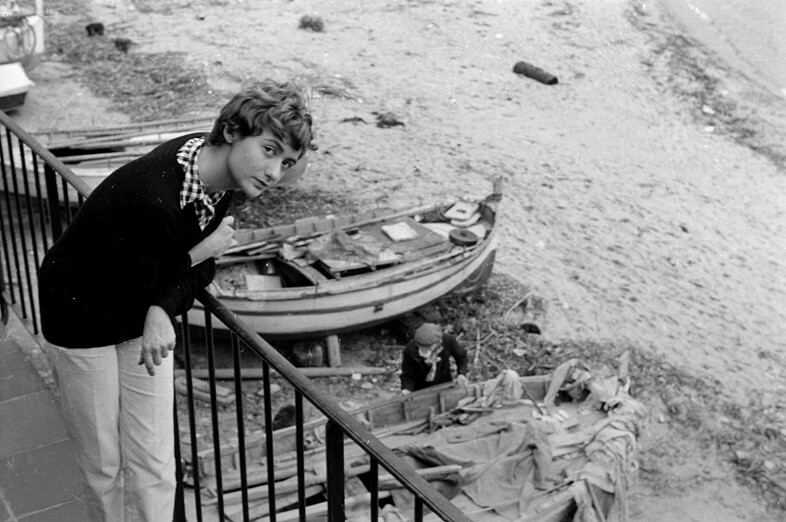 At a time rife with teen visionaries, for whom age is little more than a number, Françoise Sagan remains one of the original young provocateurs. 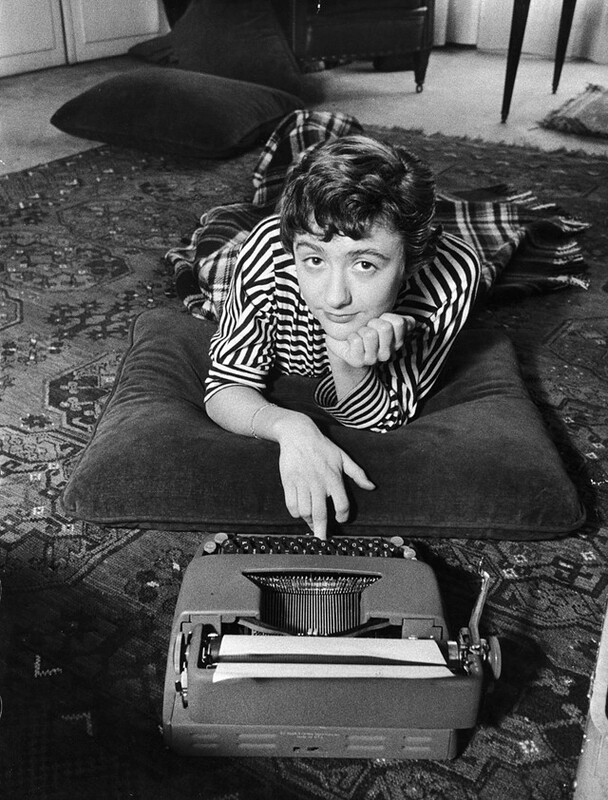 At just 18 years old, she published her shimmering, scandalous debut novel, Bonjour Tristesse; almost overnight, it took the Parisian literary scene – and soon, other shores – by storm. While Sagan, who chose her surname in homage to Marcel Proust’s Princesse de Sagan from À la recherche du temps perdu, led a life of frequent excess and public controversy, her legacy lives on today in the form of hundreds of thousands of utterly bewitched readers. Today, AnOther applauds the novelist and playwright who boldly dared to put pen to paper – “a great adventure,” as she once described it – at a time when most women her age were expected to be seen and not heard, let alone read the world over. While well known for disrupting the societal status quo with her prose, Sagan’s sartorial persona was slightly more understated. Most often clad in cuffed denim, black turtlenecks, boyish loafers, and pencil skirts, Sagan exuded a sense of effortless ease, and her signature cropped haircut epitomized Parisian radical chic throughout the 1950s and 60s. As her star rose following the publication of her hit debut, fashion publications such as Elle soon came calling, commissioning her to write pieces from faraway locales like Capri and New York City. Yet, despite her glamorous lifestyle, Sagan insisted on feeling comfortable in her skin. Whether dressed in blue jeans and a cardigan at her typewriter with her cat, "Brahms," perched in her lap or donning an elegant black gown for post-ballet cocktails at Maxim’s in Paris, Sagan’s independent spirit and timeless taste remained omnipresent. Born into a wealthy, Catholic family in Cajarc, France in 1935 as Françoise Quoirez, Sagan gravitated toward books from an early age. 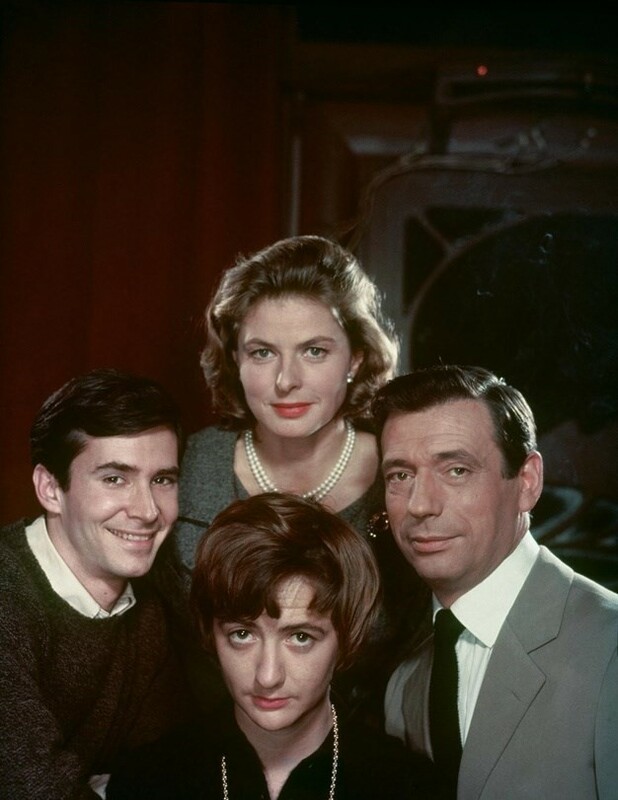 After failing to pass her examinations at the Sorbonne, however, she chose to embark on a project that, unbeknownst to her, would ultimately shape the rest of her life: writing her first novel Bonjour Tristesse (or, Hello, Sadness) – a story of lost youth and betrayal set on the French Riviera – quickly gained Sagan international acclaim, selling 350,000 copies within its first two years of publication. A year later, an English translation reached the number one spot on the New York Times best-seller list; at 19, Sagan became the youngest author to achieve such a success at the time. The book grew so popular that, in 1958, director Otto Preminger cast a then-unknown Jean Seberg as the luminous lead in his film adaptation, which went on to become a classic of Hollywood’s golden era. As is the case with most women who rebuke societal rules through their art, Sagan’s book touched a cultural nerve, sparking heated disputes as to whether it was proper for her protagonist – a 17-year-old girl – to speak freely about her sexuality and to engage in open discussions of decidedly ‘adult’ matters. Of course, the underlying subtext had to do with the author’s own age and gender. Some critics even speculated that an older, most likely male, author working under a pseudonym must have penned a book as intuitive and polished as hers. The fact that Sagan explicitly wrote it sans pseudonym sent a strong message to readers prone to sexist assumptions: unlike earlier authors, from Louisa May Alcott to Charlotte Brontë, Sagan had no qualms about publishing her work without the veil of a masculine pen name. More novels featuring similarly young, female protagonists soon followed, including Un Certain Sourire (1956; A Certain Smile), Aimez-vous Brahms? (1959), and Les Merveilleux Nuages (1961; Wonderful Clouds) – along with film scripts, short stories, and plays – but none ever quite matched the critical frenzy that surrounded her first. Throughout her publishing career, Sagan ran in glamorous circles, and many criticized her distinctly hedonistic lifestyle and occasionally reckless relationship to her wealth – not to mention her penchant for driving sports cars. But no one could deny her innate talent for tracing the emotional landscape of the era’s French youth through her work, and for this, she was appropriately recognized. In addition to winning the Prix des Critiques in 1954 for Bonjour Tristesse, she was awarded the Prix de Monaco 30 years later for her entire body of work. Sagan passed away in severe debt in 2004 at age 69 in a Honfleur hospital. Yet she left behind a rich literary legacy that is still being brought to light by scholars today and fallen in love with by readers discovering her for the first time. Sagan never shied away from speaking her mind and causing a stir, whether in public or on the pages of her evocative and emotionally raw novels. Perhaps most importantly, given her tumultuous life story, she did not live with regrets, particularly when it came to her early efforts as a writer. 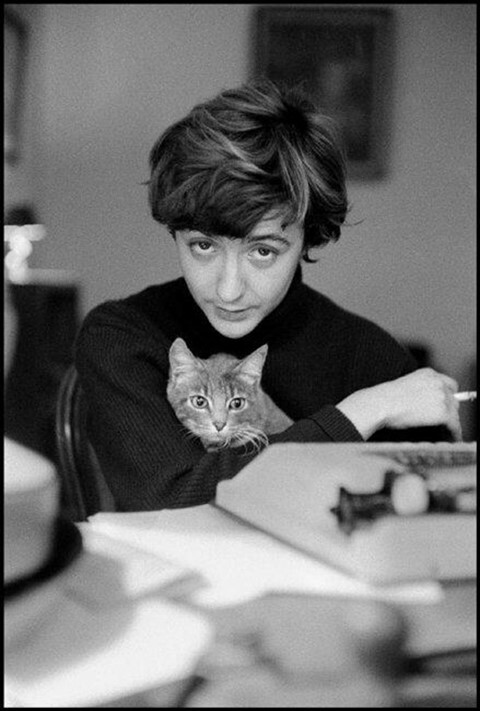 As she told The Paris Review in their autumn 1956 issue, “I like Un Certain Sourire better, because it was more difficult. But I find Bonjour Tristesse amusing because it recalls a certain stage of my life. And I wouldn’t change a word. What’s done is done.” For serving as a role model to any teen girl eager to write and publish her work – public opinion and male-dominated literary canon be damned – Sagan will forever be an AnOther Woman.